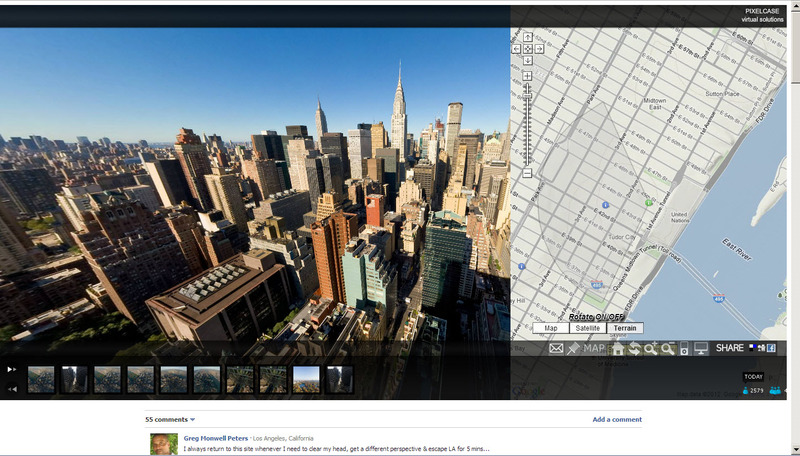 Reminded by Google Maps Mania about this remarkable and entertaining website created in 2009 by Australia firm, Pixelcase. I saw it then, but it seems they have added a lot of new tours, and some new, cool controls, including the ability to view images in Normal, Fish-eye, Architectural, Stereographic and Planet views. It is great to see the images in all these different perspectives, clear as a bell. 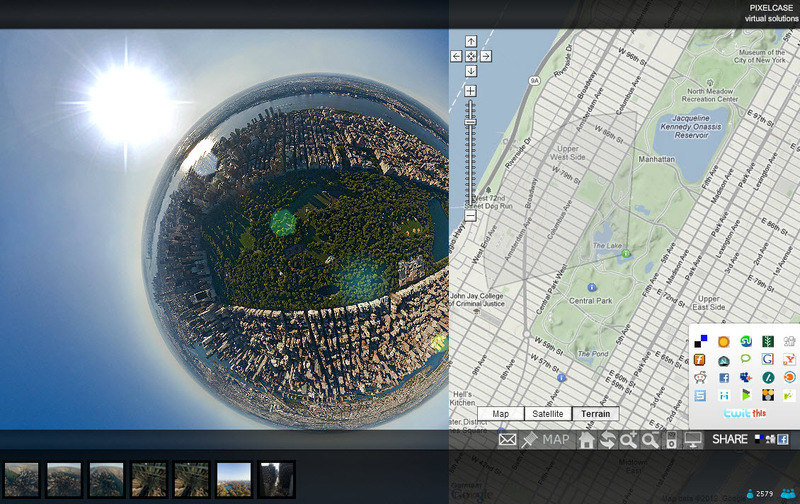 Check out this image of Central Park in Stereographic. Is that the sun? Update 8/1/2019: It seems that in 10 years, the aerial tour is no longer available, and Pixelcase has morphed into an Augmented Realty (AR) company. More on this some other time.